Welcome. Doctor who props.com have been collecting, trading and authenticating props and costume used in the BBC Television series Doctor Who for over 20 years, in that time we have built up a solid reputation as being leaders in the field of prop collecting. All the props and costume on display belong to our private collection or the collections of our many friends without whom this site would not be possible. Along Doctor Who we also have a vast experience of props and costumes from all Film and TV production and a new area of the site will be the Movie Prop archive. This area will bring you detailed images and descriptions of props and costumes from the world�s biggest block buster movies. So many items were lost or damaged over the years that very little remains, we belive that the need for these items to be correctly documented and displayed is of great importance. If you search the web there are many sites with collection of props and costume but none of these go into detail of how the item was made or by whom, we feel that this is important and shows the skills of the industry professionals that make our favourite productions so magical. All items on this site are genuine production made and used, we are proud to be members of the Movie Prop Association and will ALWAYS uphold their policies and goals. Breaking news NOT to be missed!!!!!!!!!!!!!!!!!!! For all enthusiasts of original Doctor Who props and costumes comes this fantastic new product from the Collectable Art Company, limited addition prints of the famous sixth Doctor's costume designs!! 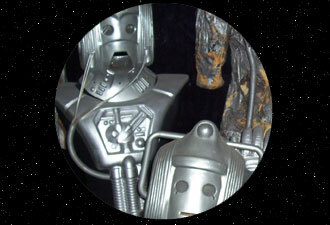 doctorwhoprops.com have had the rare opportunity to see these first hand and we can say that they are one of the nicest pieces of merchandise that has been realesed for a long time.